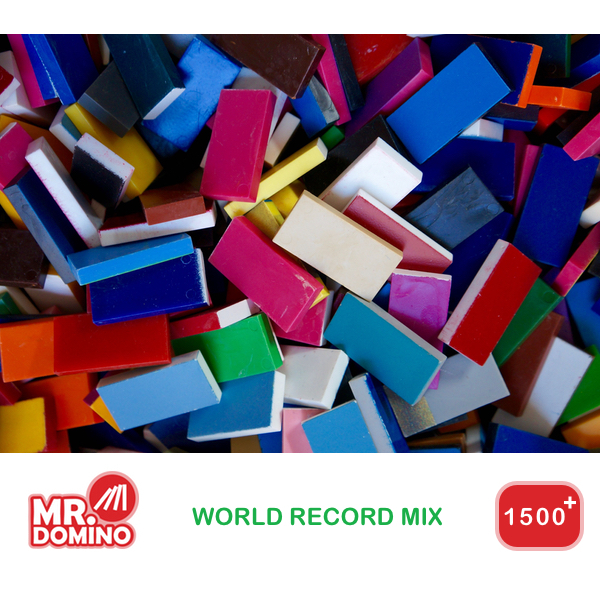 More than 1500 used domino’s, original from Domino Day. About 14 kilograms of domino’s! 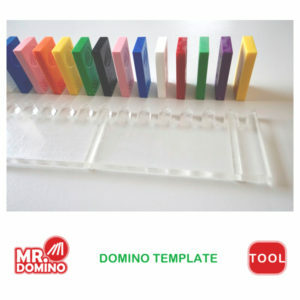 The domino’s are used during the Domino Day television events of Mr. Domino and do have traces of usage. The carton box has a variety of colours, with different painted surfaces as well as some stickers on the domino’s. See the images for samples of what to expect of these used domino’s. 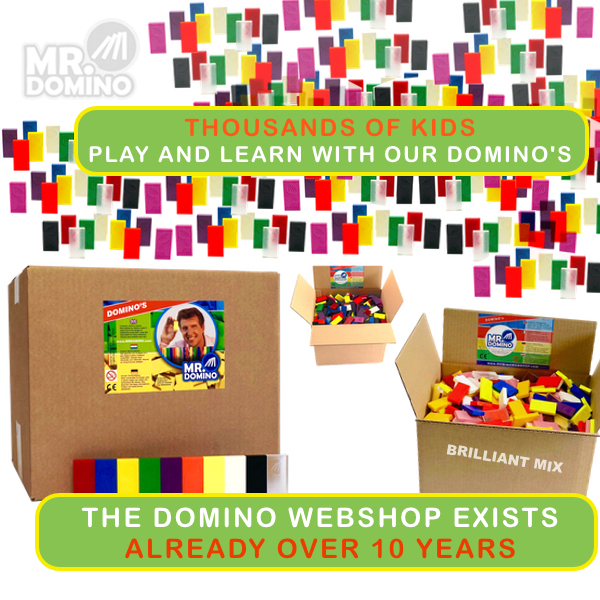 There are no Mr. Domino logo imprints. 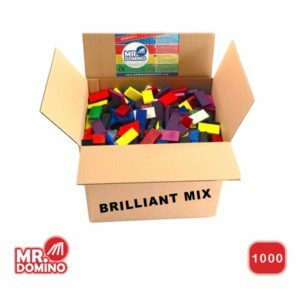 The domino’s have the same size and weight as the regular new Mr. Domino domino’s. 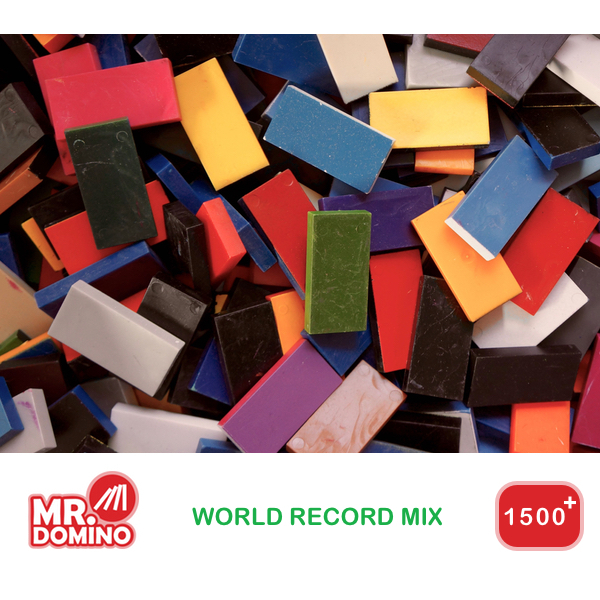 This limited edition lets you play with your own original world record domino’s! Just what I was expecting ! Thank you so much!! 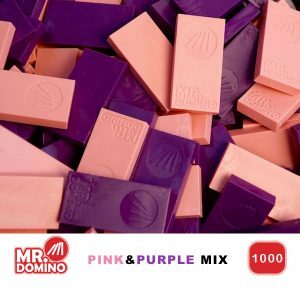 The dominoes feel amazing – heavy and solid. Half will be for my son’s 6th birthday, the other half will be donated to his school for their domino fun. It‘s just anwesome to have a part of History at home ! I Just love them ! Really good dominoes. They looked more used than I expected and the large majority were painted, but for the price they are much greater value than the new ones. Very happy with the 2nd hand stones…they really look used but are fine to play with. 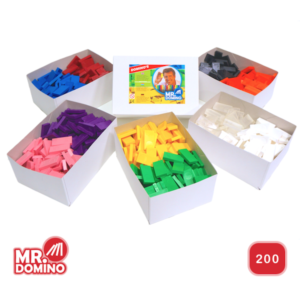 the domino are very great but why can i take off the paint color to the dominoes? Our answer: the paint is of different constitution than the dominoes, so sometimes the paint losens or breaks off from the dominoes. 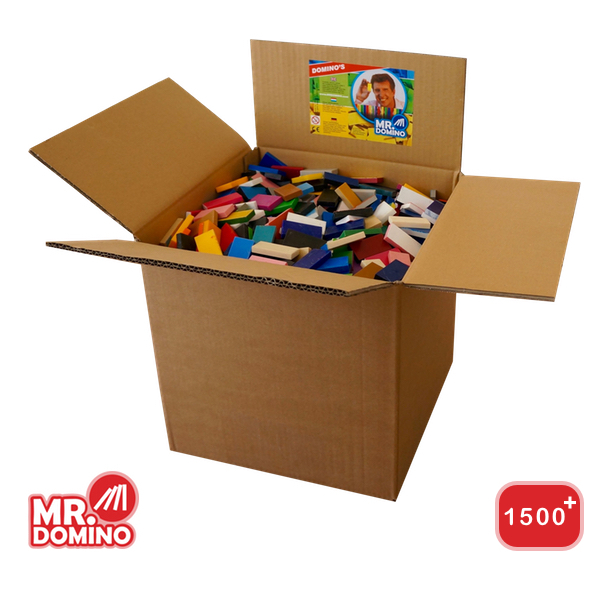 If you fully want to clean the dominoes, you can use acetone on a soft cloth to dissolve the paint altogether. Please take care with this solution. Zeer tevreden. Correcte snelle levering! Kinderen dolblij! 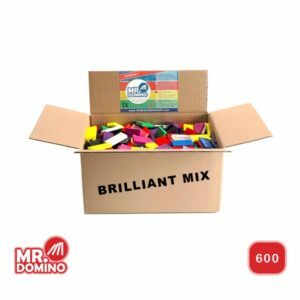 Very nice, we are building the dominos every day!!! The domino’s are amazing. My son (6) and I are so happy with our fast delivery. In the first week we already build all of the 1500 domino’s in one afternoon. 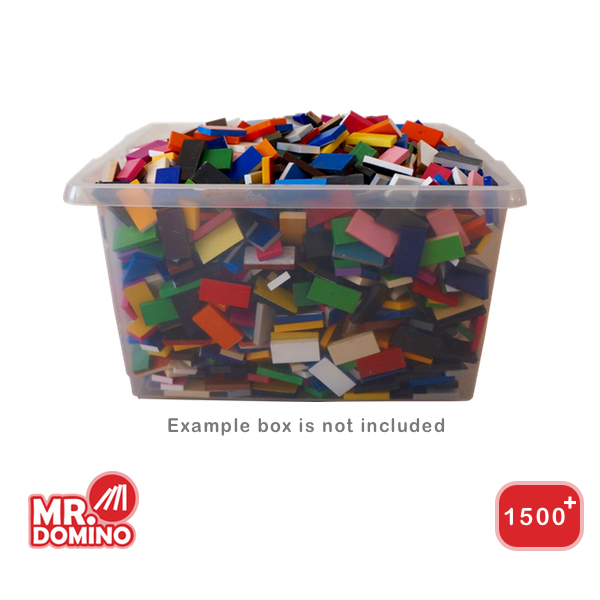 The pieces are very Good, straigt and all exactly the same shape and size. 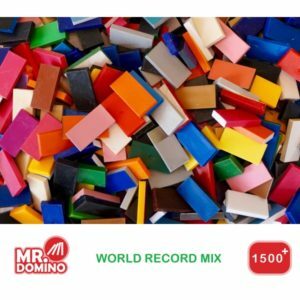 I build a 1000 domino wall 14 levels high in just a few hours. Sadly the domino’s have different colours on each side and 20% of the domino’s are having a coloured piece of tape on one side; I didnt see this before ordering. 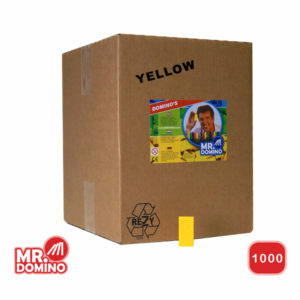 Also the dominos looks really used, with a lot of scratches unfortunately.